Radio City Music Hall in New York. Radio City Music Hall was opened Dec 27, 1932 and is the biggest indoor "scen", theatre in the world. The Music Hall is covering nearly a whole block (47839 sq yd). The theatre is used for concerts and special affairs. The scene is approx 21 yd and 48 yd wide. In the room there are no pillars, the place is well-known, becuse you can see well where ever you are sitting on one of the 5.933 seats. When the big stock exchange crash occured in year 1929, John D Rockefeller changes his plans from buildning a opera house on the place to instead build an indoor theatre. Mr Rockefeller rented the area and had plans to make this area attractive for the commercial market even though the area at this time had a lot of not rented premises. The project he started, with new architecture and design became a well-known symbol for optimism and hope. The Business partner became Radio Corporation, a young company under upswing. NBC´s radio program had during this time a big amount of listeners and the company also offered movies etc. The financial part were split between Rockefeller and NBC with S.L Roxy Rothafel. Rothafel had a reputation to be a genius in theatre. This he got when he combined different scenery and elements on the scene, this made many theatres come alive again. For 4 years, Britney Spears has performed in Las Vegas with her show Piece of Me. Now she is taking her show on tour in both the United States and Europe. In Sweden she plays in Sandviken on August 11, 2018. Radio City Music Hall should be a place where "ordinary" people could come to. They should have a big range of high class entertainment to a low prices. The theatre should be remembered for its classy entertainment and to entertain in general and also to spread inspiration and joy. Tickets to The New York City Christmas Spectacular! Do not miss the fantastic Christmas show with The Rocketts. 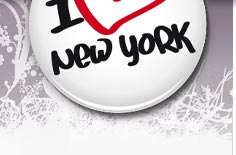 Have not seen them, it is almost a must if you visit New York during Christmas. Tickets to Radio City Music Hall! Several movies have been played here and also several celebrities have performed here. Since 1933, 700 movies have been showed here. Some you will recognize, among others the original movie, "King Kong","Breakfast at Tiffany´s", "101 Dalmatians", "Lion King" etc. 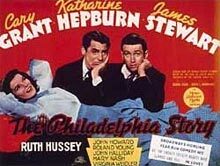 Gary Grant, Ginger Rogers and Katharine Hepburn has also taken the price of most played movies. All three have over 22 movies that have been played at Radio City Music Hall. After year 1979 they stopped to show movies, only at special occasions it can happen that some movies are played. Several celebrities that have performed on stage are among others, Betty Midler, Billy Crystal, The Eurythmics, Barry Manilow, Liza Minnelli, Sting and Celine Dion etc. 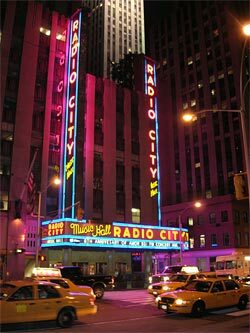 Radio City Music Hall have also been known during the times to be the host of the Grammy-, MTV- and ESPY awards. When a person gets an assignment to play here at the scene, they really know how it feels to be a celebrity! 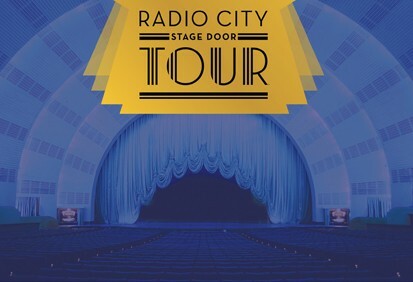 Join a guided tour of one of New York's most famous theater arena - Radio City Music Hall. Here many of the world celebrities have performed. It is also home to the fantastic Rockettes with their precision dances. They are world famous with there show - Radio City Christmas Spectacular - during Christmas in New York. Go behind the scenes and see the amazing entrance hall. No Change or Cancel fees on bookings - hotels.com!